The recorder played a huge part in 18th-century European music, so it’s strange that this beautiful instrument doesn’t command the attention it deserves today. 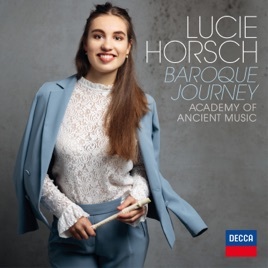 Enter Dutch player Lucie Horsch with a Baroque feast of thrilling arrangements and wonderful, original works for recorder. Dive into the magical, virtuosic worlds of Castello, Naudot, and Sammartini—whose Concerto in F Majoris a sparkling discovery—and relive famous pieces that shine anew. 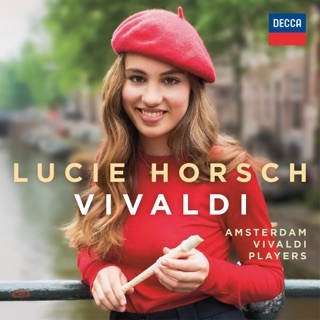 The voice flute used for “Erbarme dich” from Bach’s St. Matthew Passion has a breathtaking vocal quality, while Horsch joins fellow recorder player Charlotte Barbour-Condini for a joyful, energizing performance of Handel’s “The Arrival of the Queen of Sheba.” Utterly inspiring.